So how about instead of these you give out something like a free bottle of lube for every 200$ spent? (Thats around 10% discount with a 20$ bottle of lube) or maybe cheap 15$sleeves, Tenga eggs etc. even cheap storage bags. This prevents abuse since you wont give out cash, and advertises products (people can buy more cheap sleeves/eggs if they like them.) The bonus points could be increased to 5c per dollar? so 100$ = 5$ discount and People with high prop points could randomly be selected to try a new product maybe? or suggest products. Just my advise, thanks for your great service! Even tho what Zetsuna said would be nice, but I still think something is better than nothing. By providing reward points to their customers, it's still at least something, and you can get reward points from your credit card company as well. There are a lot of shops that gives you nothing in return for buying. I think sometime last year they had a 10x the point rewarded as their promotion. I wish I can get some reward points from Apple, cuz I have spent close to 5000 on iphones just last year from them (buying them for my brothers/friends in asia). As for the forum.....I think you're just nitpicking here. We're here to share our hobbies and thoughts with one another and to help others. 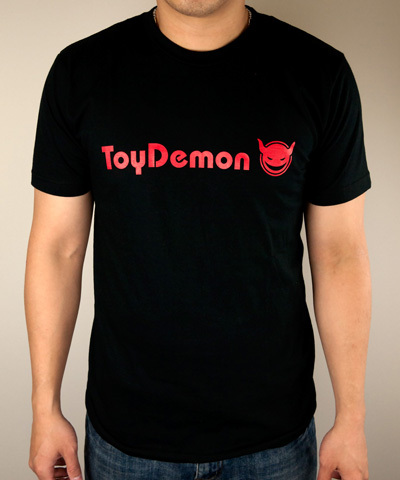 They don't need to do anything for us, ToyDemon even comes here and help answer questions that are asked. The fact that we can go on and chat/talk/share and still get something out of it, is already much better than I can say about other sites/forums. Would you rather not have any reward system at all and just go back to the old forum? Great incentives! This is definitely one of the best commercial sites that I frequent. Keep up the good work. Nothing too important, but I have two quick questions. If the t-shirt promotion is over, do you still give out props for reviews? Also, are the props based per review or per thread/group? 1. The t-shirt promotion is still on, you just need to PM us for it. 2. We still give out props for reviews. However, we have to admit with launch of the new site back in July and everything, we haven't been able to keep track of the forum reviews. If you have reviews that you submitted, please PM us and bring it to our attention and we will reward accordingly. Again, sorry for the inconvenience on this part. 3. Review props are given per Thread as it is easier to keep track and easier for others to read. We will also take into account the review itself, we don't want tons of review threads created just to have a few sentences reviewing the product.